God of War is one of the best games this generation, with more trailers highlighting the game's development. The latest focusing on the sound. The trailer has Mike Niederquell and Cory Barlog speaking about how they developed The World Serpent's voice. Apparently. used various techniques to create the creature's voice such as fighting with auto-tune to hold a very specific note. Combining it with very specific animal sounds for a unique sound. In addition, the Leviathan Axe was highlighted. Many critics explained how good it felt to call back your axe, with Kratos' animation combined with that satisfying clamp sounds. If you love God of War as much as we do it's worth watching. 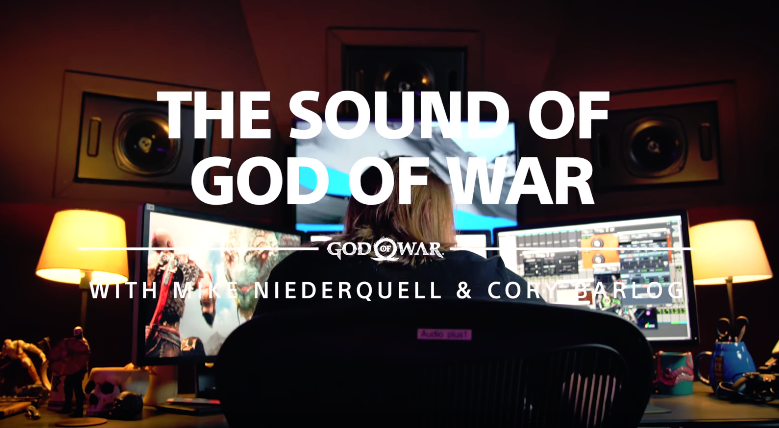 Like previous development videos, it highlights how complicated making the most basic sounds within the game were. God of War is now available for PS4.